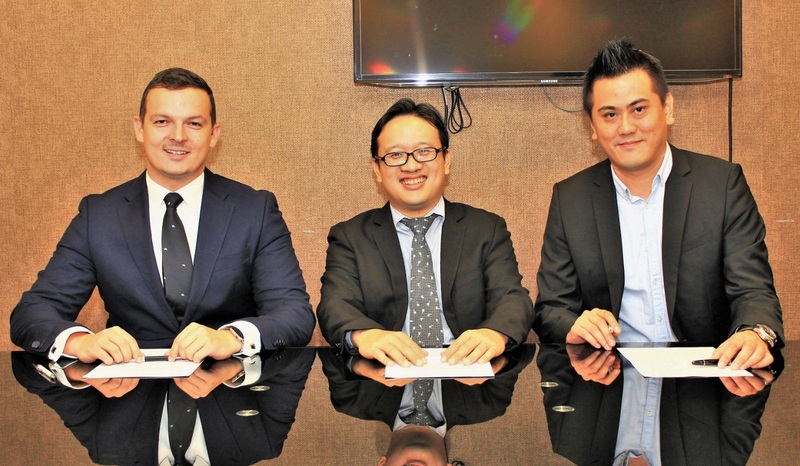 VENACO Group, a global enterprise transformation services organisation specialising in SAP and innovative IT technologies, and Cheng & Co, a Southeast Asian accounting and outsourcing services organisation, announce their strategic partnership for B2B business and IT projects. Both parties also mutually agreed to explore blockchain technology further to accelerate business growth and opportunities, through the adoption of SophiaTX, Venaco Group’s blockchain for business solution, which is poised to launch in July 2018. “We’re excited to team up with Cheng & Co as our Asia partner on IT consulting and innovation technology as we believe it will extend our presence and open new doors to opportunities in the market,” said Marian Hires, managing partner of Venaco Group and co-founder of Equidato Technologies. "We share a common goal to address the rapidly changing business and operations needs of our B2B customers. By combining Cheng & Co’s accounting and outsourcing expertise with our skills and industry know-how in ERP, we enable ourselves to deliver a fully-fledged and comprehensive service to customers in this space," said Hires. Venaco Group provides independent SAP advisory, implementation and innovation services globally. It has proven capabilities for complex SAP programmes in variety of assignments including global transformations and roll-outs, lean implementations, recovery and turnaround situations, mergers, restructurings, carve-outs, lean operations and support. With key integrations established, it is crucial for the company's executive team to have personnel and resources who could focus specifically on channel growth. The team engaged Cheng & Co to help expand partner engagement in SAP solutions, primarily running on SAP Hana platform. "Digital transformation is promising to deliver value to enterprises of all sizes. As businesses expand and grow, it is imperative for businesses to evolve and adapt to technology advances in order to keep pace with the changing global business landscape,” said Cheng & Co chief executive officer Tom Wong. “We have found a great partner in Venaco Group and we believe that by integrating our solutions with its innovative technology, we can create an even more compelling end-to-end value proposition for our clients,” added Wong.